I am pleased to announce that Carly Raby who is the pioneer of Child Accelerated Trauma Treatment, will be coming to GIS to provide training from26th-29th of May at Garden International School. Please look at the attached flyer for more detailed information if you are interested. 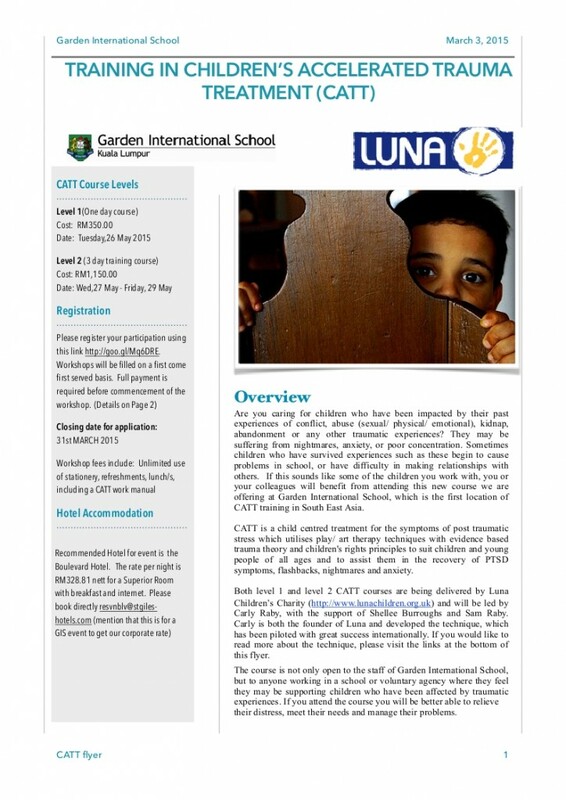 The level 1 course explores the effects of trauma (1 day) and level 2 teaches the CATT method itself (3 days). Please take a good look at the flyer to see which level would suit you most and whether or not you would need to complete level 1 in order to then take level 2. 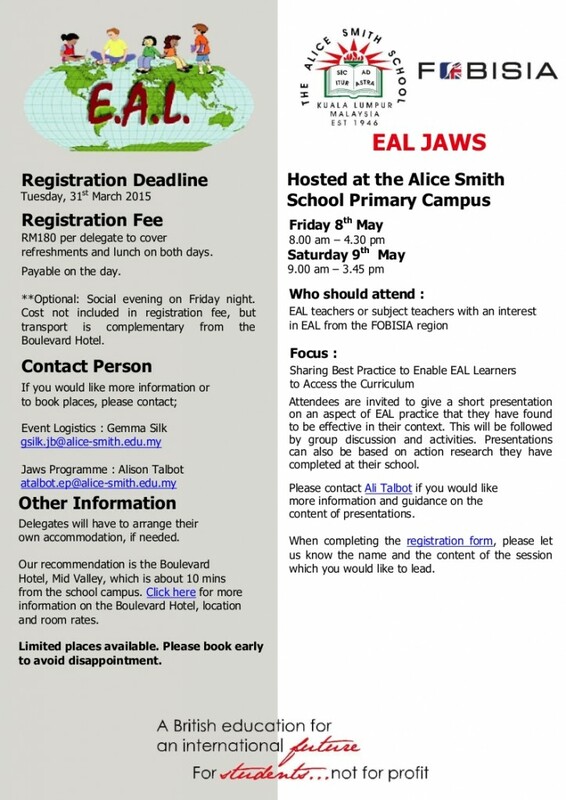 Registration for the Secondary English JAWS is fast approaching and there are already a good number of signups. More participants are welcome and Andrew is really looking forward to some fantastic collaboration and sharing of resources, pedagogical approaches and ideas across KS3-5 English. The workshop is relevant to all Secondary English language and literature teachers. Additional topics can be added. Please see the attached flyer for further details. Many children are confident talkers at home, but may need extra support to join in with groups in school. These children may be ‘reluctant talkers’ due to shyness, high sensitivity, introversion or in some extreme cases, selective mutism. Children learning a second language or with additional learning needs also need support to fully participate in groups, to develop friendships, and to promote optimum learning. Michael leads practical training across the UK and abroad. He led two successful speaking tours of Thailand in 2006 and 2007, including for staff in international schools and kindergartens, and talks for parents, student teachers and medical students. He led highly successful training for Knowledge Source Institute in Bangkok in 2013 (workshop feedback). Michael has a particular interest in supporting children who are quiet and anxious in school. Reduced Fee: For every 4 participants applying together from a school, the 5th participant is free.